mama elephant | design blog: Peace on Earth with Heather Campbell! Peace on Earth with Heather Campbell! Hi everyone! Heather Campbell here. I am beyond excited to have the opportunity to guest design on the Mama Elephant blog today! 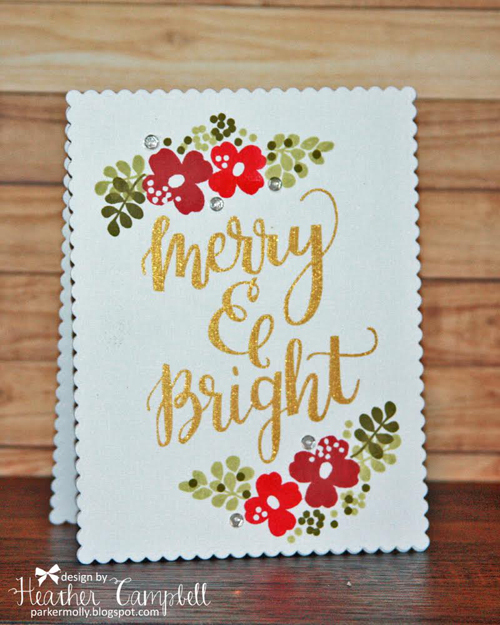 Today, I thought it would be fun to share two cards using the new Peace On Earth stamp set both using the same Merry & Bright sentiment. For my first card, I wanted to focus on the gorgeous sentiment itself. I stamped the sentiment in gold and then stamped flowers and leaves from the Water Blooms stamp set. To give the card a finished decorative edge, I used the Femme Frames dies. Next, I wanted to play with a few of the smaller images in the stamp set. 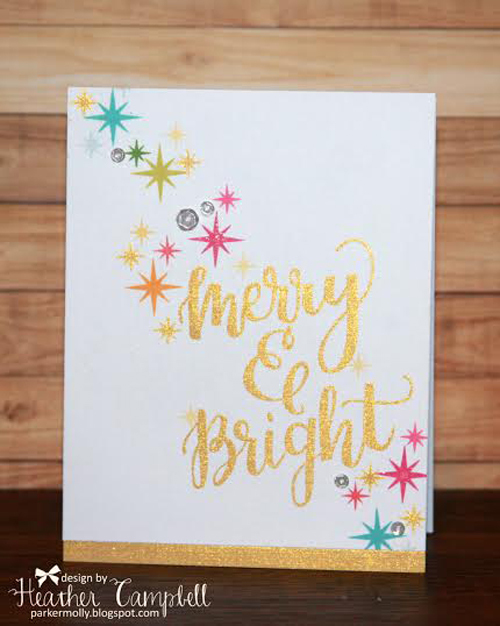 Again, I stamped the sentiment in gold and this time stamped the bursts in just about every color of ink I have! I love that both of these cards are one layer and something that would be fun and easy to mass produce! Thank you so much for letting me be a part of your day and to the Mama Elephant team for letting me drop by! I hope you have a great day! Two pretty cards. The sentiment looks great on all the card designs I have seen. I love these cards! So pretty!! !